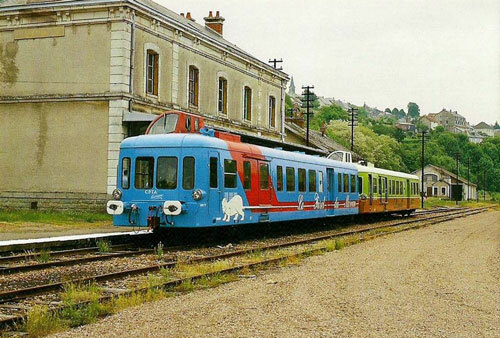 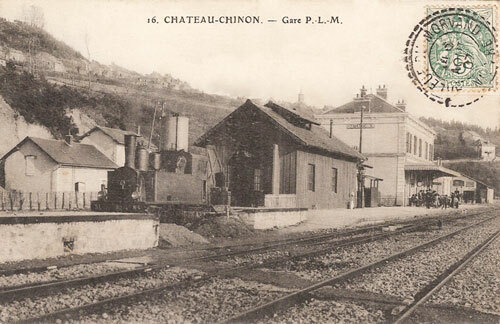 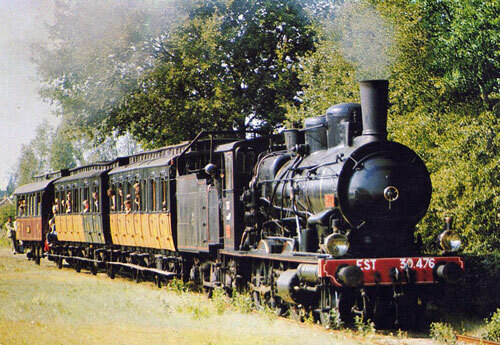 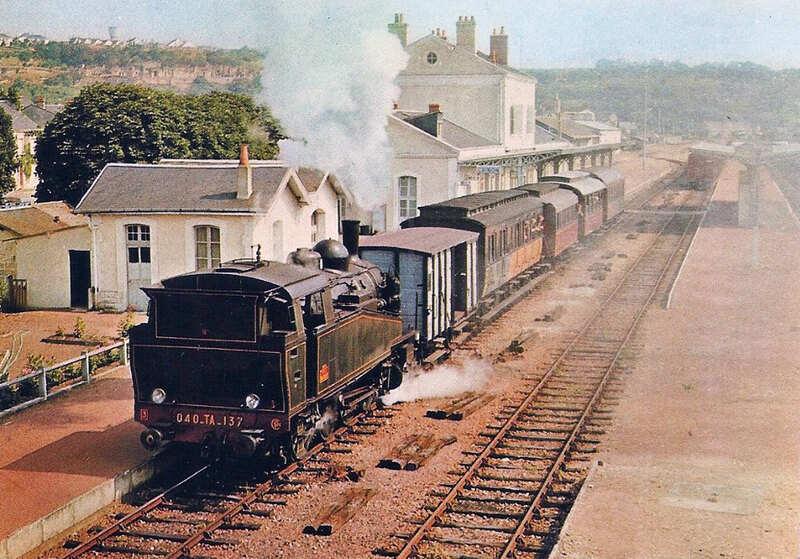 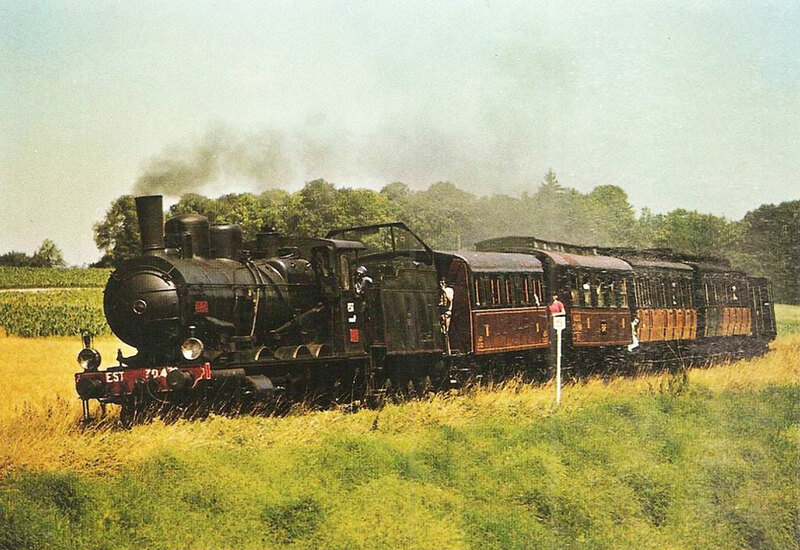 This page shows postcards and images of the French tourist line Chemins de fer Chinon - Richelieu en Touraine, which ran between these towns between 1974-2004, when access to the tracks was ceased due to the state of the track. 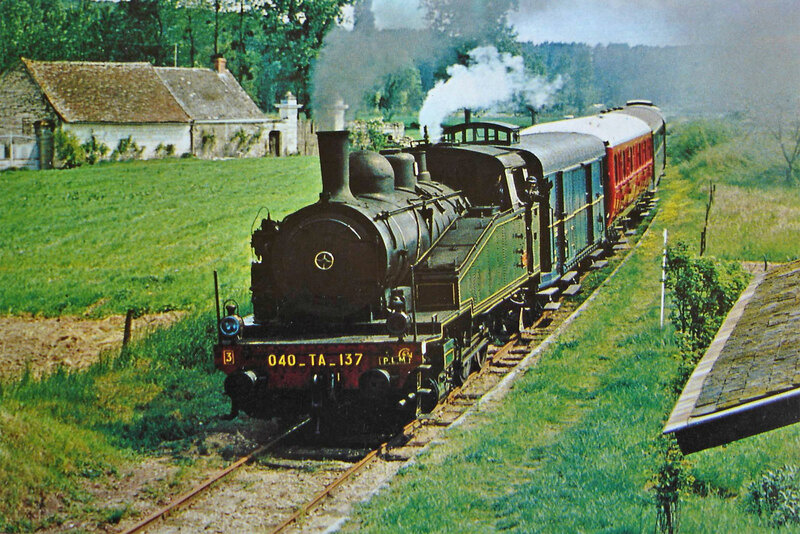 In latter years it had run between Ligré-Rivière and Richelieu only. 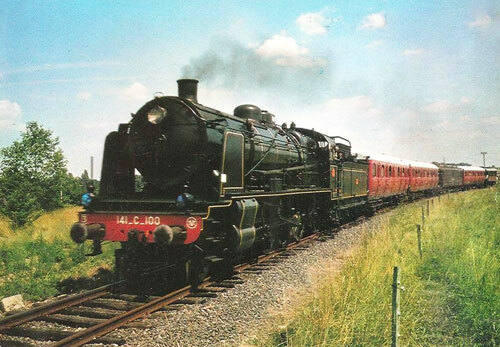 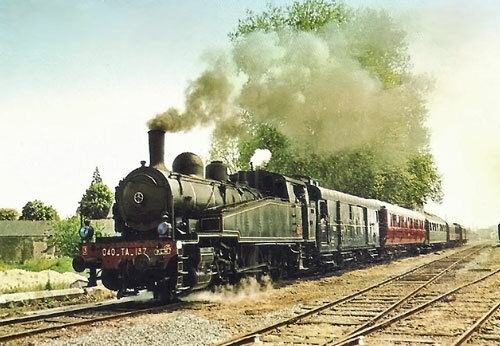 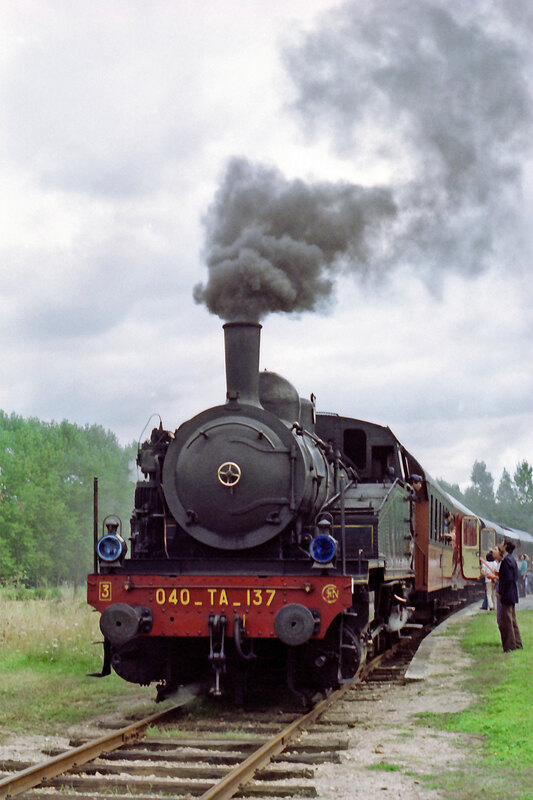 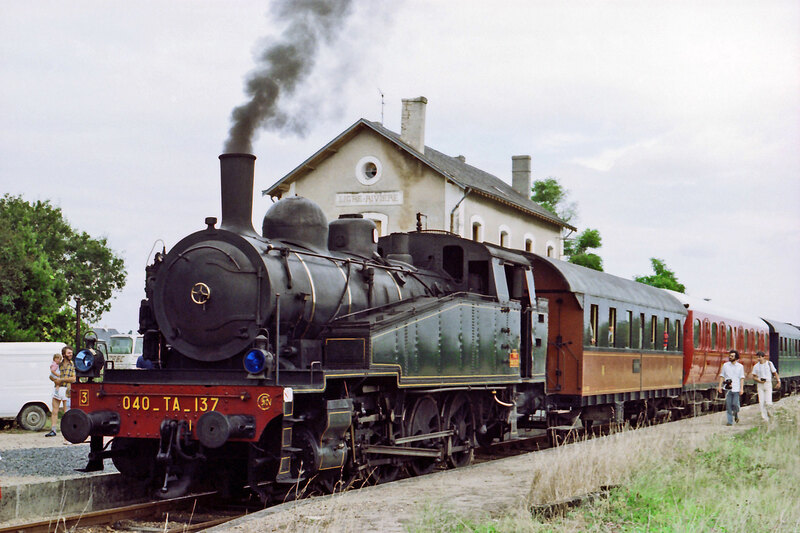 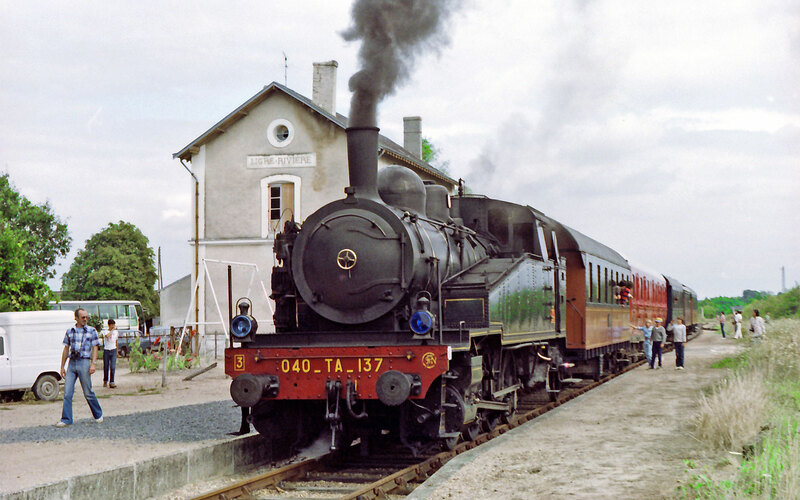 It was hoped the tracks could be improved but this was not possible and the stock is being moved to Thouars with the aim of running to Loudun from 2015. 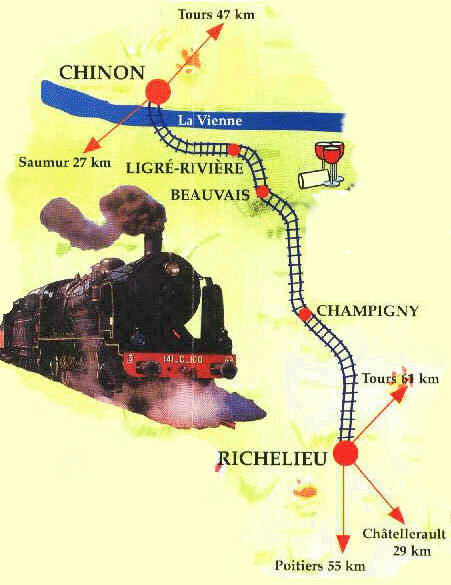 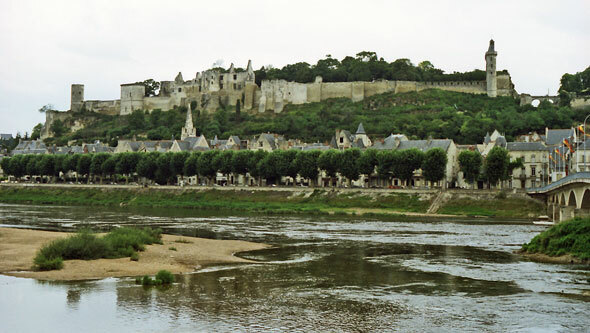 The Chinon-Richelieu was used for over 70 film and TV productions including Tess with Peter Firth and Natasha Kinski. The line was opened on September 7th 1884, but was closed in 1937 to passengers and replaced by buses. 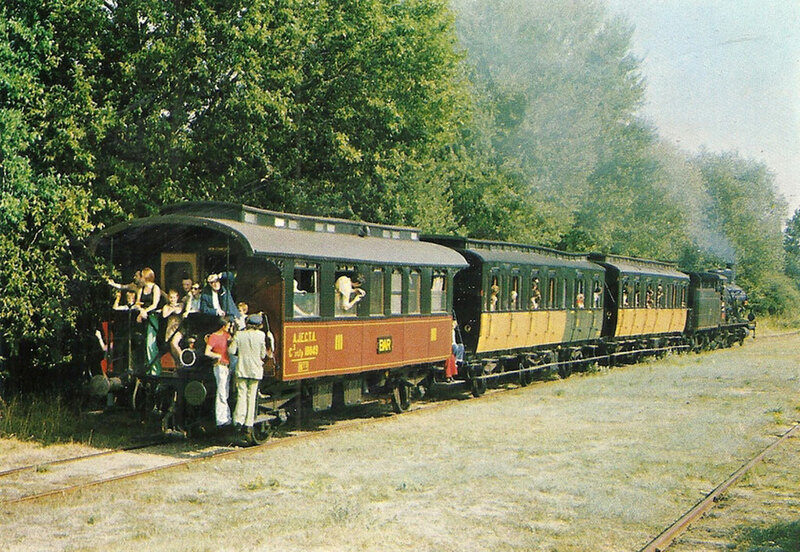 However it seems that local protests ensured that a service by Billard railcar was maintained until 1960. 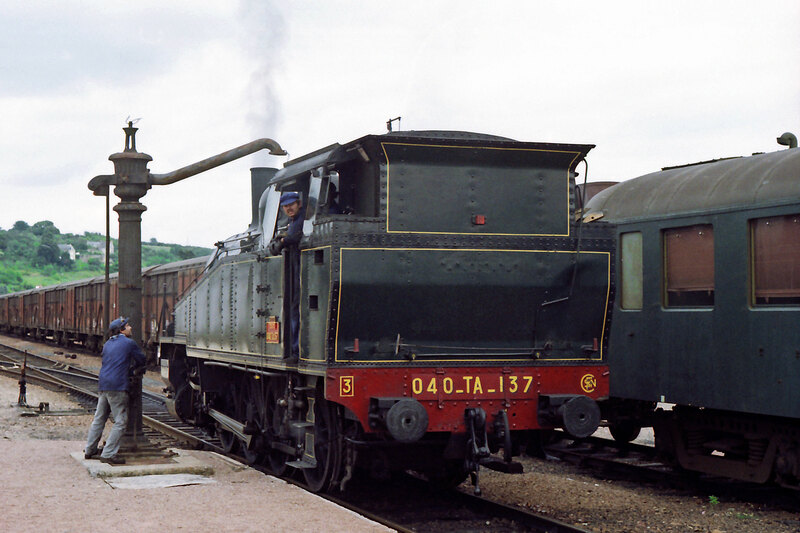 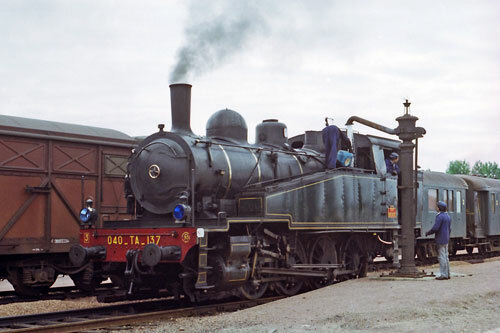 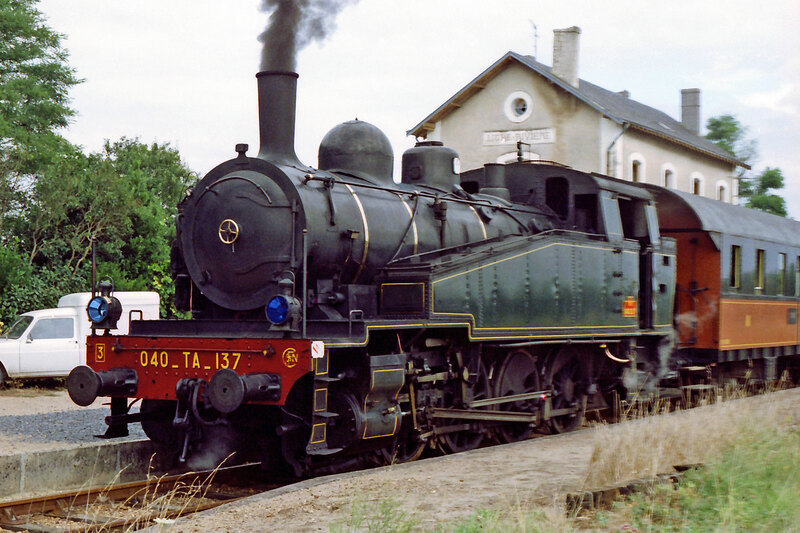 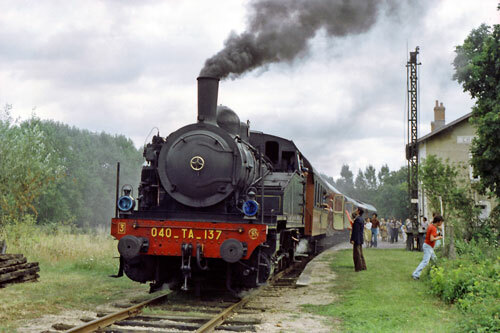 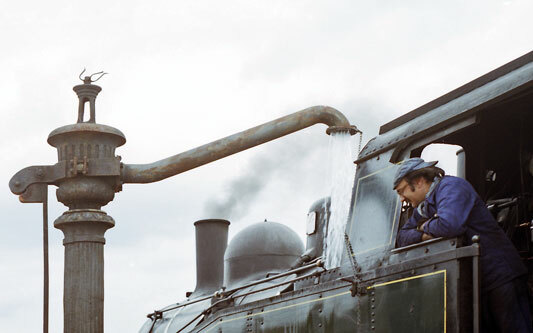 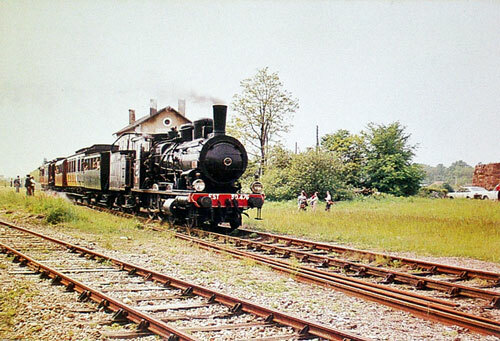 I visited the line in 1981 when it was operated with SNCF 040_TA_137 (0-8-0T). 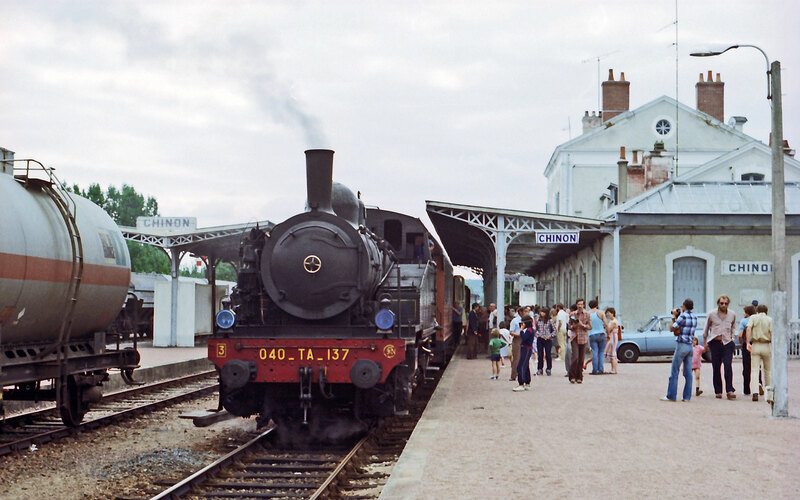 I made a single trip from Richelieu to Chinon in the summer of 1981, hauled by ex-SNCF 040_TA_137. 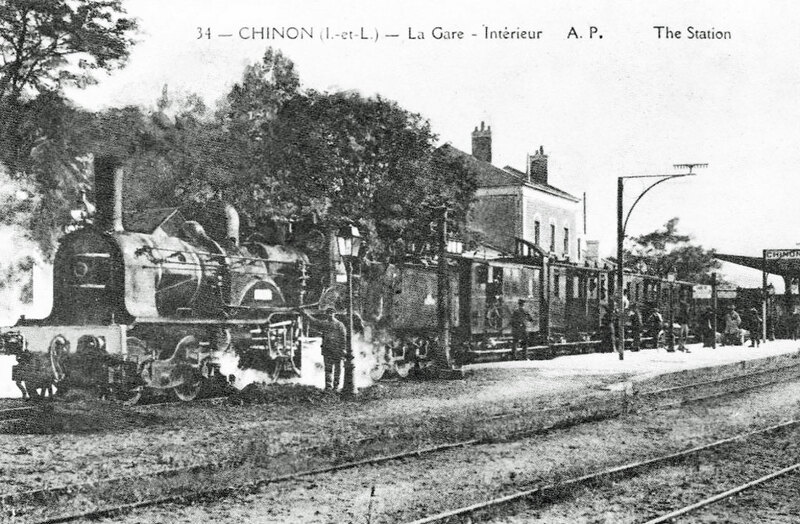 The train travelled a very leisurely pace stopping at Champigny and Ligré-Rivière, where it was possible to buy local cheeses and wines from a stall set up on the platform.